Afghan government criticises Tuesday’s Moscow meeting, saying opposition politicians attending ‘in order to gain power’. 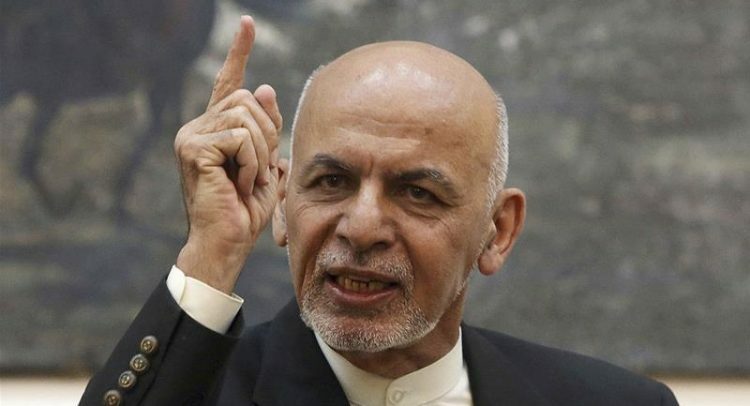 The Afghan government has criticised talks in Russia between the Taliban and opposition figures – including former president Hamid Karzai – as regrettable while politicians attending described the gathering as the continuation of peace efforts. Fazel Fazly, the chief adviser to President Ashraf Ghani, expressed “regret” that politicians who previously led Afghanistan‘s democratic transition were to meet Taliban leaders over two days. “[They] are ready to bypass these principles and move towards [the principles’] destruction due to differences and being away from power,” Fazly said on Twitter. Ghani’s office criticised the meeting saying Afghan politicians attending were doing so “in order to gain power”. Along with Karzai, many of the 38 delegates from Kabul have held prominent government positions. Also on the list are powerful commanders-turned-politicians and former Taliban fighters who reconciled with the Kabul administration. The Moscow gathering is likely to further isolate Ghani who has been irked by US peace envoy Zalmay Khalilzad’s direct talks with the Taliban, as well as his successive rounds of talks in regional countries. The Moscow-based Council of Afghan Society, an organisation of the Afghan diaspora in Russia, organised the meeting. It said the participants will discuss a range of issues, including a ceasefire, ways to support Khalilzad’s initiatives and a path to ensure a “powerful and democratic central government” in Afghanistan. The push for peace comes as the Taliban, thrown out by the US-led forces in 2001, has staged near-daily attacks and is in control of or contesting districts in nearly half the country. The latest quarterly report by the US Special Inspector General for Afghanistan Reconstruction showed 53.8 percent of Afghanistan’s 407 districtsare with the government, covering 63.5 percent of the population. The rest is under Taliban control. Abdullah Abdullah, the government’s chief executive, who addressed reporters in Kabul on Monday, said the Afghan government should be at the centre of any peace talks, adding it “would prefer the Moscow meeting had a different shape”. “[The Taliban] have the mindset that their position will be strengthened as they see that the talks are ongoing in different places,” Abdullah said, referring to recent negotiations in Qatar and Moscow, as quoted by Afghan news website ToloNews. Karzai confirmed his attendance at the talks, saying in a tweet he would carry a message of “peace, unity, sovereignty and progress for all of us”. He replaced the Taliban rule as Afghanistan‘s first democratically elected leader after the armed group was overthrown by Afghan forces supported by US air power. Another delegate to the Moscow sessions, Mohammad Hanif Atmar, an influential former national security adviser to Ghani, said they would emphasise the need to include the government in future intra-Afghan discussions. But he urged the government not to look at the peace process from a “narrow governmental window”. The US has some 14,000 troops in Afghanistan as part of the NATO-led Resolute Support mission and a separate counterterrorism effort largely directed at groups such as al-Qaeda and the Islamic State of Iraq and the Levant (ISIL or ISIS).